Everybody's favorite time-slowing vigilante, Max Payne, is now available on iPhone and iPad. 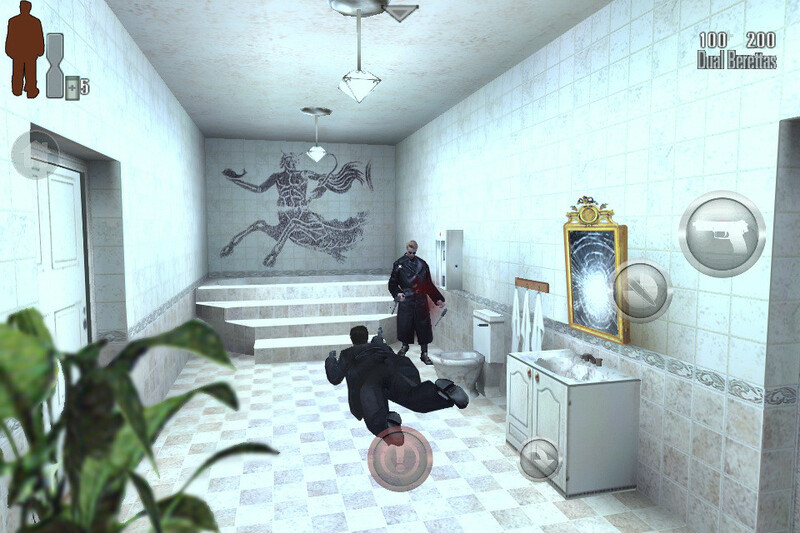 Sure, the game originally launched on consoles and PC is a little old, but Max Payne Mobile comes complete with all of the dual pistol-wielding bullet-time action we know and love. There's support for the new iPad's Retina display, and compatibility with every iPhone going back to the 3GS. The gameplay itself looks pretty much identical, including the third-person perspective and comic-style cutscenes, but there's an added bonus for configurable controls, so you can drag and drop your fire button wherever is most comfortable. Max Payne for iOS will also tie in with Rockstar's Social Club community for sharing profiles and achievements. I saw the Rockstar booth at PAX East 2012, but they were primarily interested in showing off Max Payne 3 for consoles and PC. While a whiff of nostalgia may convince many gamers to pick this up, 9 years really ages a game; I think it's safe to say that the iPhone and iPad can handle much more than what Max Payne Mobile is demanding in horsepower. Of course, if Rockstar had mobilized Max Payne 2 instead, odds are good that it would only be available on the latest iOS hardware, and even then, they might have had to dumb down a few aspects to keep gameplay smooth. In any case, it's still nice to see Max's face on an iPhone, puckered as it may be. Anyone big fans of the franchise? You can download the game now at the link below. Keep an eye out for our review soon!